The prehistoric Chauvet cave in the Arceche region of southern France has been granted prestigious World Heritage status by UNESCO committee delegates gathering in Doha in 2014. The Chauvet Cave is one of the most famous prehistoric rock art sites in the world. Located in the Ardeche region of southern France, along the bank of the river Ardeche near the Pont-d'Arc. The Chauvet Cave is one of the most famous prehistoric rock art sites in the world. With one exception, all of the cave art paintings have been dated between 30,000 & 33,000 years ago. In 1999 John Robinson was invited into the Chauvet Cave by Dr. Jean Clottes to observe the Palaeolithic cave paintings dated between 30,000 & 33,000 years ago. Two years had passed since John Robinson's first visit to the Chauvet Cave. In 2001 he returned focusing this time on the Artists who created the cave paintings. In 2005 members of the Bradshaw Foundation, Robert Hefner III, Damon de Laszlo, Jill Cook & Peter Robinson, were given the privilege to tour the Chauvet Cave. The last and deepest of the Chauvet Cave chambers, the Salle du Fond, is home to the palaeolithic cave painting of The Venus & The Sorcerer, drawn in black charcoal. The eminent French prehistorian Dr. Jean Clottes was the former scientific advisor on prehistoric rock art to the French Ministry of Culture & Communication, and UNESCO. 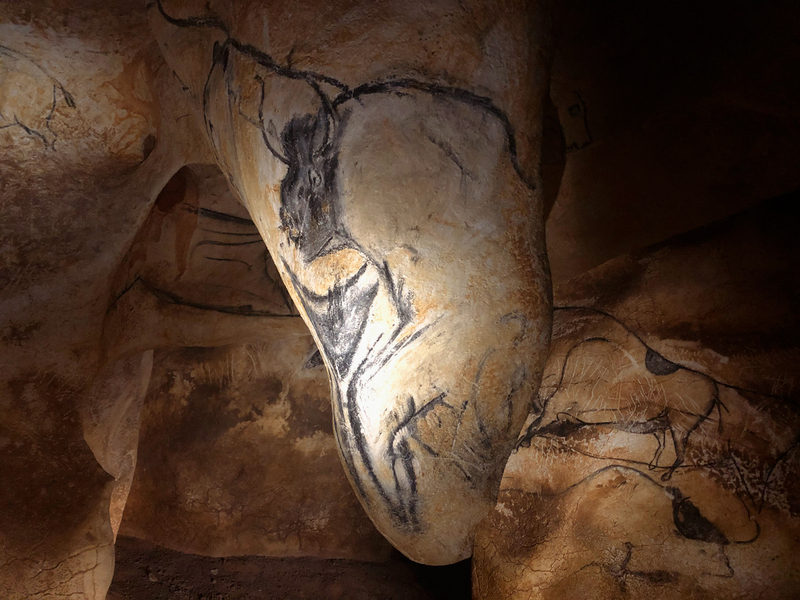 For his latest documentary film 'The Cave of Forgotten Dreams' Werner Herzog takes us on an incredible 3-D journey into the Chauvet caves in Southern France.